and lea us nought but grief and pain for promised joy’. And so it was today. 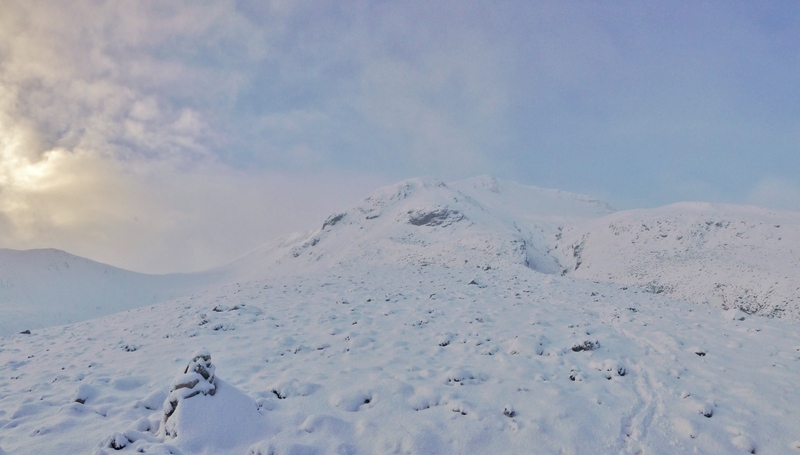 The plan – to make observations at the summit of Creag Dhubh, Beinn Eighe in good weather. 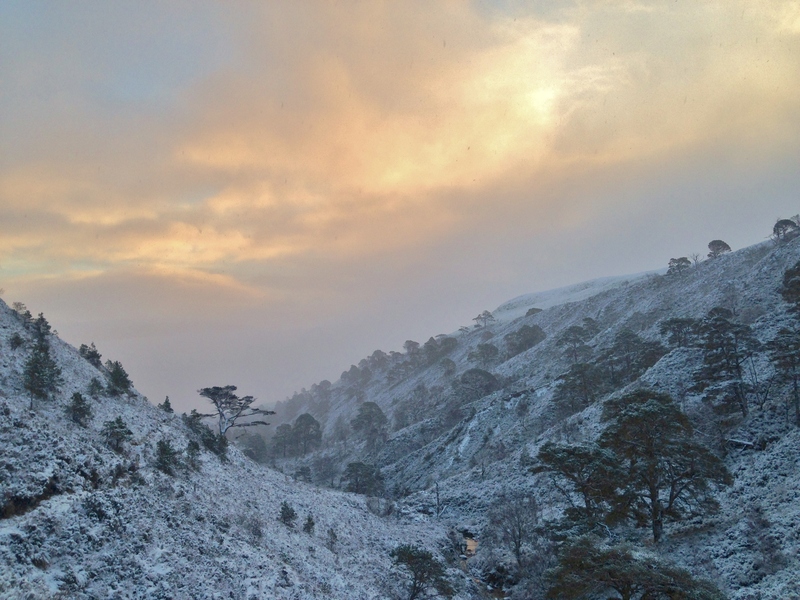 The grief – a particularly intense snow shower sat on Creag Dhubh just at the wrong time. There was a top-up of the snow cover today, but the snowpack is generally shallow with good stability in most places. 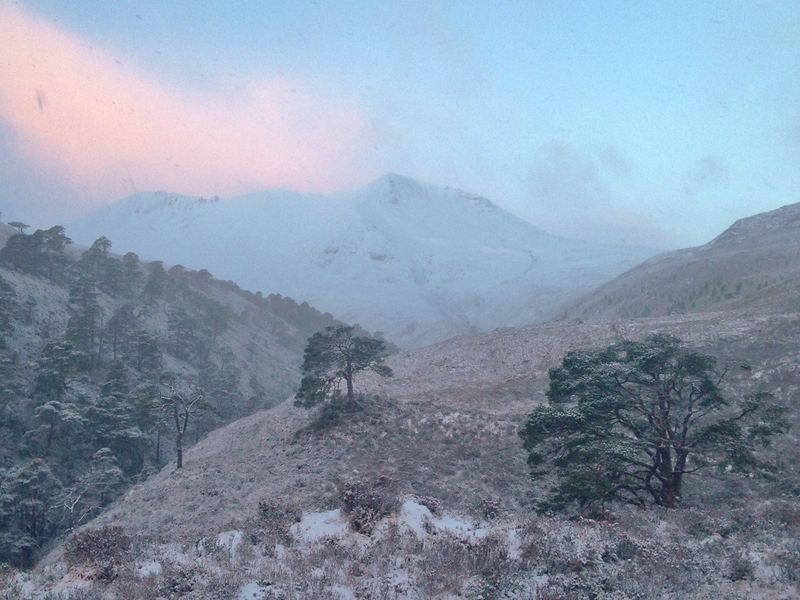 The approach to Creag Dhubh as seen between snow showers – enticing! The colour orange was the theme today with a low sun and broken cloud. 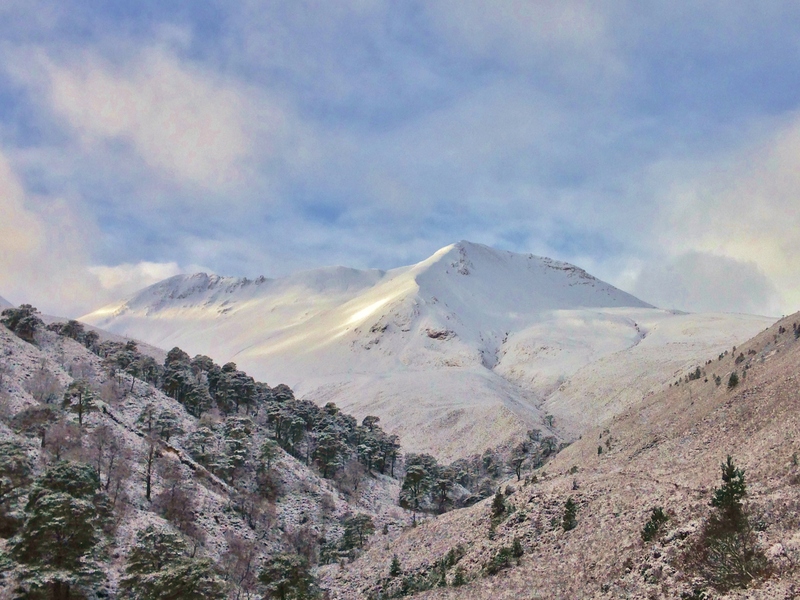 The Caledonian pines looking regal in the snow. 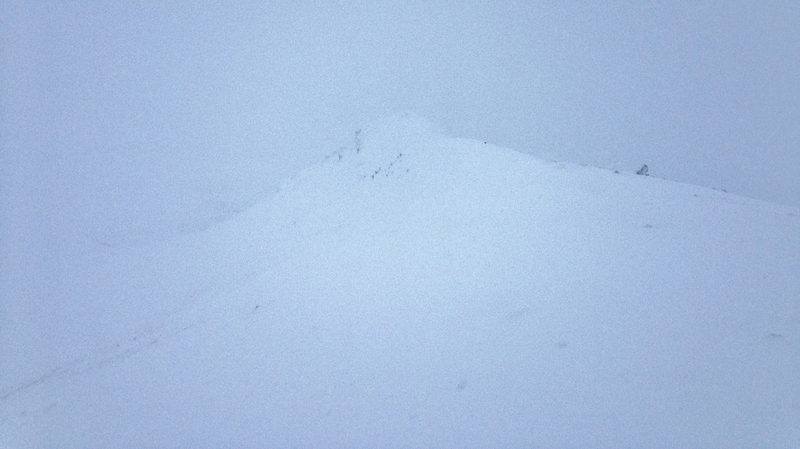 Deeper accumulations of windslab in selected locations such as ridge flanks as here on the east ridge of Creag Dhubh. Then this happened! A heavy and prolonged snow shower with strengthening wind and spindrift. Of course it cleared later but too late.. Note the fresh snow in the trees after the heavy shower. The last photo in particular is a cracker! Hi Richard. Thanks for that – right place at the time really with an iPhone camera. Thanks for the pinecone picking forecast Andy. A dreadful scene for picking cones: cold hands and snow covered branches. Aye you are right Andy; going East tomorrow to the sun or at least the dry of Amat. Whoever came up with the west is best saying was a moron for a large part of the year!